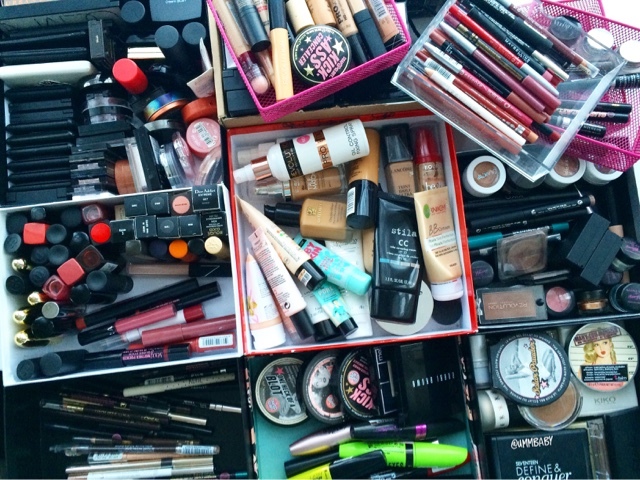 A year ago I did The Makeup Addict Tag and in that I posted pictures of my collection back then - it was pretty big with loads and loads of choices per category. After that post, my collection continued to grow too. 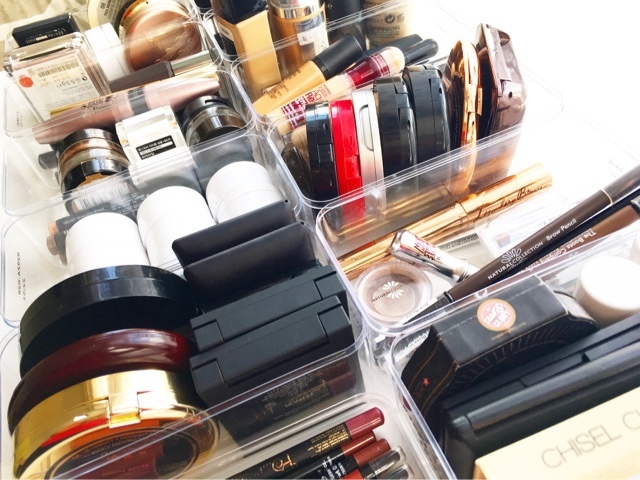 In fact, I was buying makeup almost every week and collecting hoarding it all up in various boxes, mainly perfume gift set boxes and lids, till I filled up 2 entire drawers (and my chest of drawers is pretty big...eeek!) with all the stuff. As much as I loved my collection, I wasn't using all of it. I had my firm favourites, I had things I adored using and then there was a whole host of things that I had to force myself to use or remember I owned. It became something I did out of fear of it being a waste of money rather than it being something I loved. 1. Change of heart, new philosophy. Then a few months ago, I had a change of heart. I wanted to declutter. I wanted a concise collection of only things I love AND things I reach for often. I put some guidelines down - namely to stop buying new makeup and to stop browsing the aisles of Boots & Superdrug so frequently looking for special offers just to buy mediocre things that I didn't even know would work for me or not. I've spent so many years just trying out and testing so much makeup that now I just want to have things in my reach that I love using and know will work well for me. I've told myself this doesn't make me any less of a makeup junkie but it just means I've tried enough now to know what I truly enjoy and what works for me. 2. New storage solution = self-imposed limitation. Since I was a young girl I've always recycled old Ferrero Rocher boxes, the ones that contain 16 chocolates, and kept them to store all sorts of treasures. I mean, they're plastic containers that seem a complete waste to throw out. 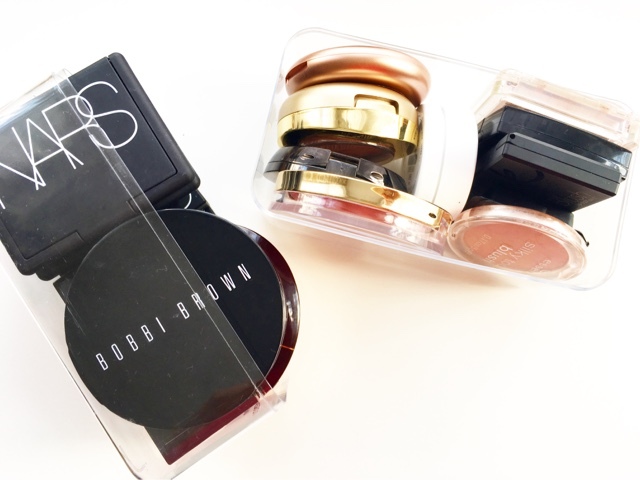 I decided I would use these for my makeup as they're spacious but also compact and I would only allow myself that container size for each category of makeup I own. In some cases this is plenty with room to spare. In most cases, it was a tight squeeze, with products over-spilling and needing extra space. 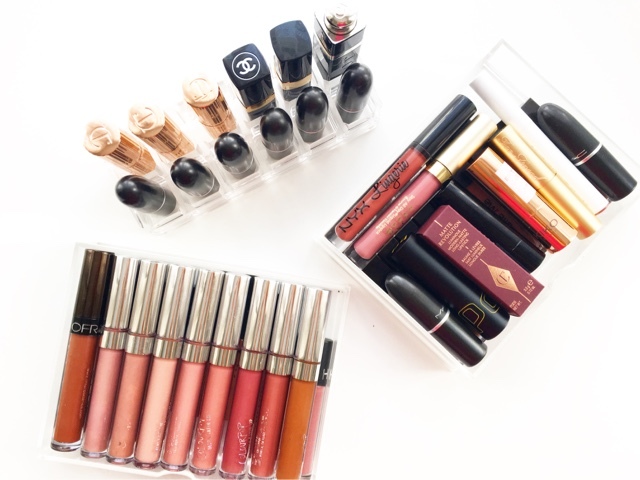 My ultimate aim is to get my entire makeup collection, except lipsticks, into one drawer. 3. To keep or not to keep. That is the question. When's the last time I used this? Do I look forward to using it? Do I force myself to use this just for the sake of using it? Would I miss it if it weren't here? Am I just hoarding this for the sake of pictures? 4. A loving new home. I've been carrying out step 3 routinely with all my products for a couple of months now. And I always end up with a small pile of products that can be sold, given away or donated. If it's something I know a particular person will enjoy more then I keep it aside for them. It it's something of value or something I know people would like to purchase then I've been listing them on Depop. For items I don't sell, I've been sending them to Give And Makeup, a charity set up by Caroline Hirons in collaboration with Refuge to help women who have been left with next to nothing when they need it the most, including makeup which most of us take for granted. 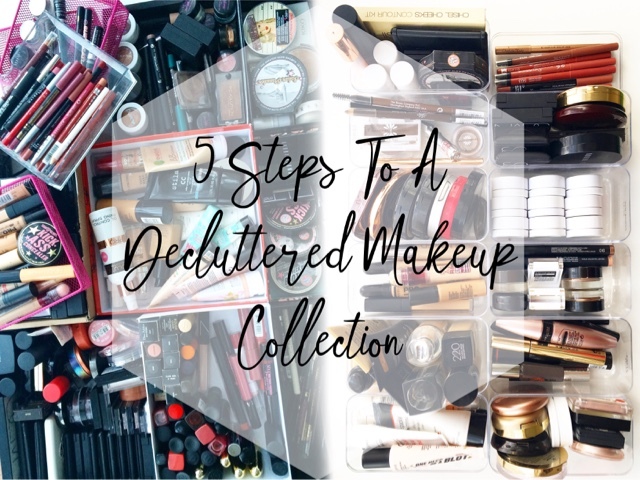 Maintaining this streamlined collection is proving difficult especially when I have a wish list bulging with all sorts of makeup I want to try from all over the shop. Unsubscribing from brand/store emails has helped as I'm not continually bombarded with the latest offers (I can't resist a sale/discount). It also helps to have something to aim towards, so for me its working towards getting the entire collection into one drawer but also something more fun. I'm planning to do a massive Sephora order in December, my birthday month, and it's helping me to stay focused and not binge-buy every new release or over-hyped product. Overall I'm happy with my progress. I've significantly reduced the amount of makeup I own and the things I've kept on honestly are things I couldn't live without. My blusher collection was out of hand at one point and now I've got only a handful left and I couldn't be happier as they're all the ones I really and truly love and I don't feel burdened to use them. 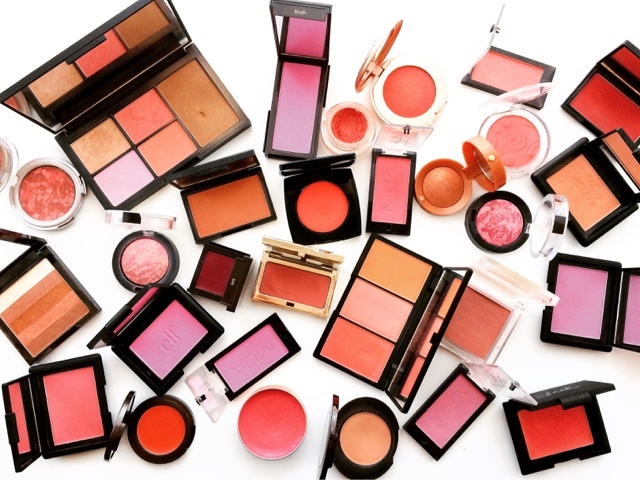 Only part of my old Blusher collection!!! 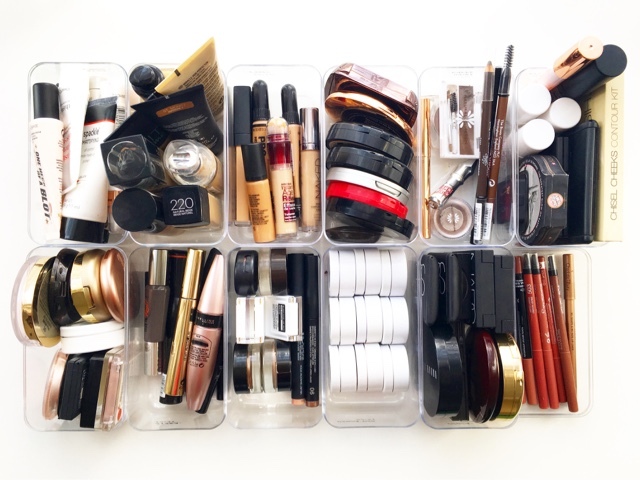 Do you prefer a large and extensive makeup collection or a more streamlined, concise collection? 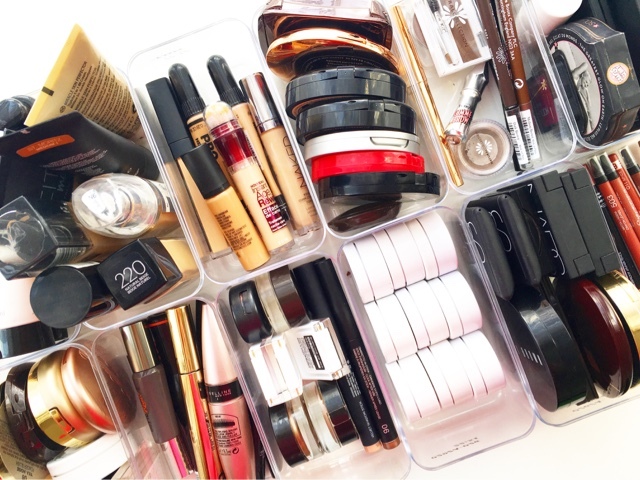 How do you declutter your makeup? What other tips do you have to help me along?